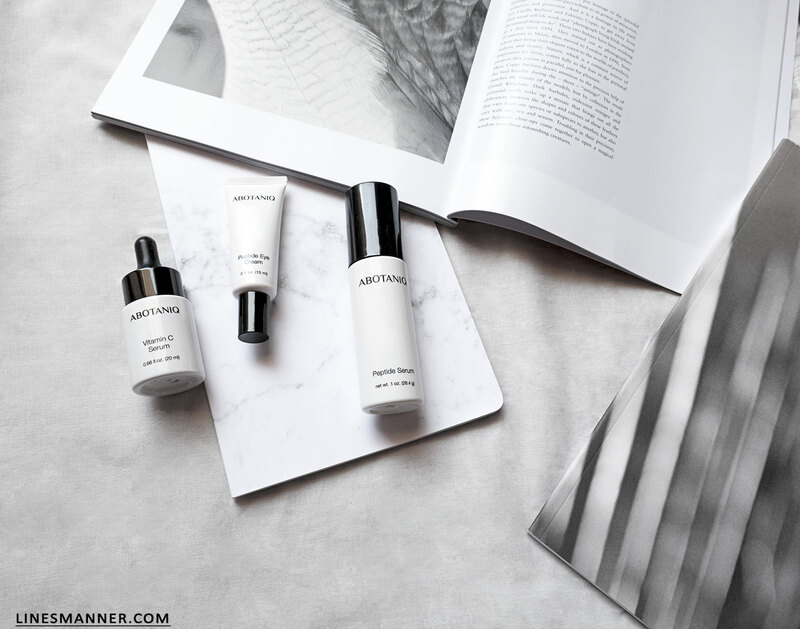 A uniquely innovative botanical skin care brand from New York who dares to unite the laws of science, technology, and nature. With more than 40 years of experience, ABOTANIQ’s product-development team continues to grow its expertise by collaborating with excellent laboratories and research centers. Enough qualities to ignite Lines/Manner’s curiosity. 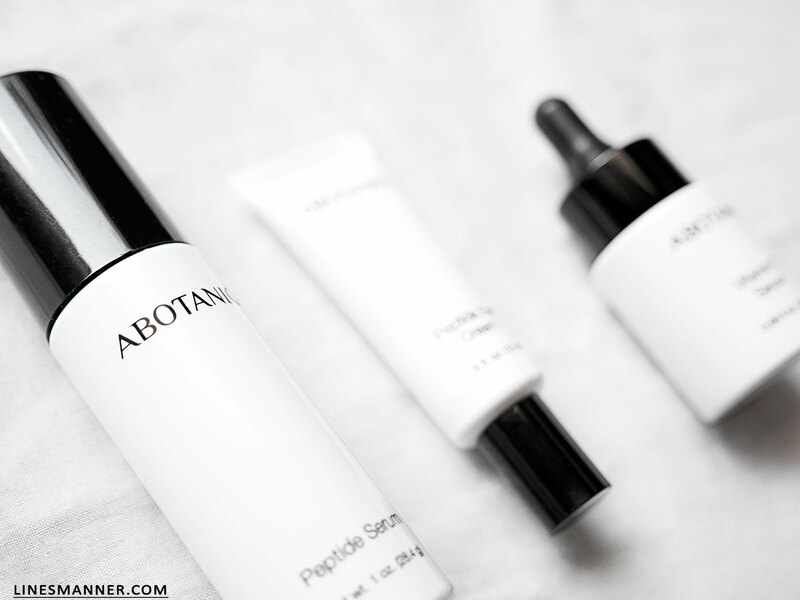 ABOTANIQ embraces the idea that ‘Nature is The Answer’ to all beauty issues. All of its solutions are toxin free and unite “ancestral botanical extraction techniques” with “innovative scientific technologies.” The perfect combination for Lines/Manner. Increasingly so, modern science recognizes the importance of natural materials. 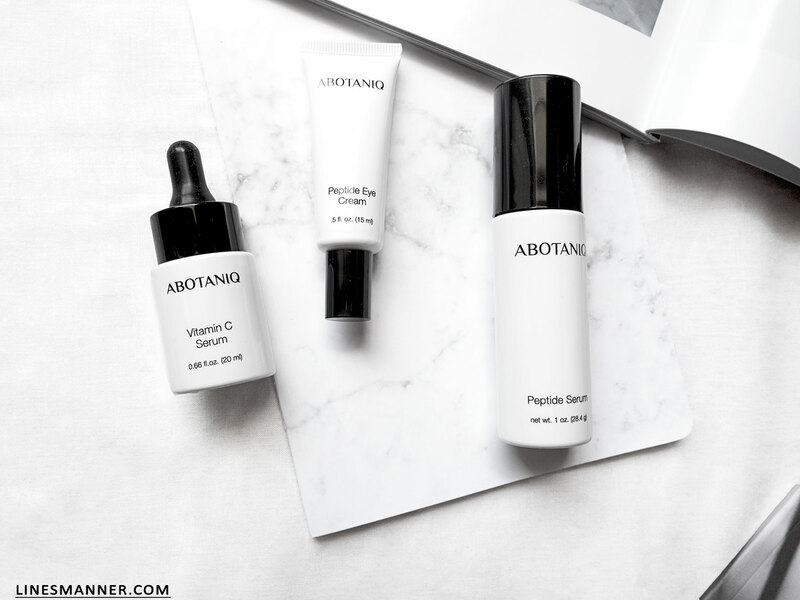 ABOTANIC’s mission is to source the highest quality ingredients that nature has to offer and create with them beauty solutions which flawlessly nourish, replenish, and hydrates your skin. Indeed, their skin care products are made of authentic natural ingredients that won’t even irritate the most sensitive of skins. 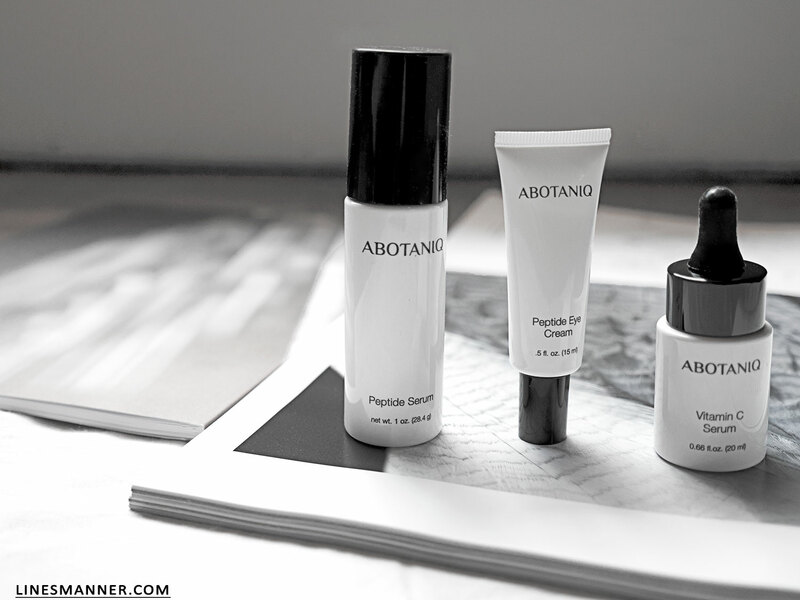 ABOTANIQ also offers premium skin care products which make use of peptides. 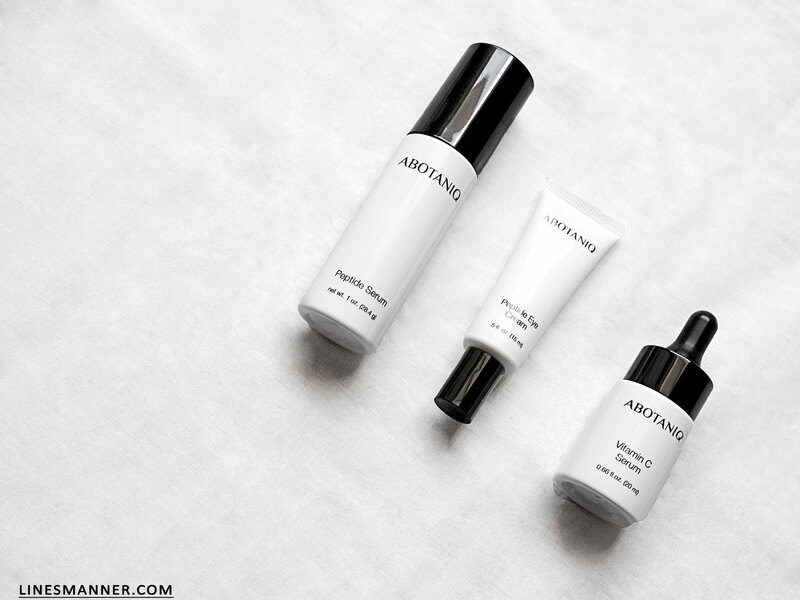 These “clinical anti-aging solutions” can be used on all types of skins, not only mature ones, and act as preventive agents that reinforce and protect. ++ : Line of products: Less is More. Even if Lines/Manner has been faithful for years to certain skin care products, it remains such a pleasure to give a chance and discover brands that dare to hold their promises. 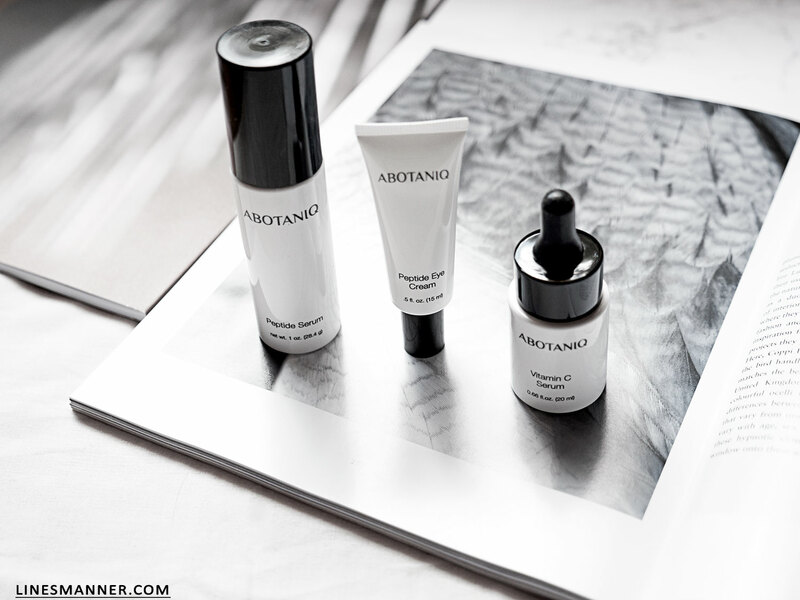 Every once and a while, we concentrate on expanding our horizons, rethinking our points of view, and diversifying our experiences: ABOTANIQ has now definitely become one of Lines/Manner’s favorite essential skin care experts.